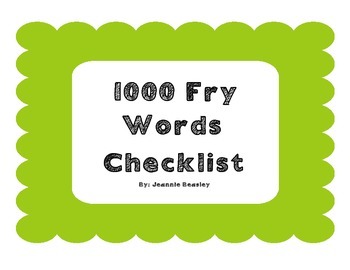 Checklist for all 1000 Fry words. 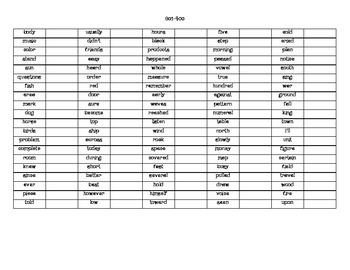 The list is organized by lists of 100 words to help determine levels of students. 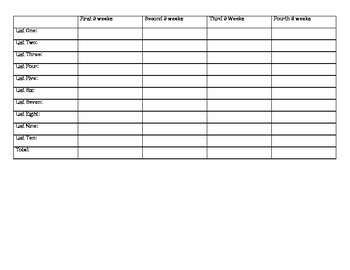 There is a complete list for recording totals at the end of the document.